Even though I won't here anything from 2 to 6 weeks, I'm still checking my gmail account every day. lol But I'm waiting patiently. I'm also applying to some colleges, such as the University of Central Florida and Florida Gulf Coast University. That stuff is making my nervous too! I graduate in a few months and there are so many options for me to choose! But I feel confident that I will make the right decision for me. But all that's on my mind is what am I going to do after I graduate? I can't seem to relax and calm dowm, and this Disney career Start program is adding to it. But when it's all said and done, I know that everything will be alright. So, hopefully, if I do the Disney Career Start program, or CS, I really want to work in merchandising at the Magic Kingdom. Or Epcot. Or I would like to work at an attraction at MK or Epcot. This morning I faxed my application to the Disney Career Start program. On the website, it says that you fax and mail the application. Well, you do not need to do both, just one or the other. I also put in a letter of recommendation for good measure. The letter of recommendation and the short response form are no longer required for the application. Now, I'm playing the waiting game. I feel so anxious right now. And I wish that time would push ford so I could hear an answer from them. I am pretty nervous for the phone interview, but I know that everything will be fine. I know that this is right for me. It's a chance for me to get out of a small town, move away, and experience things. I want to learn to be able to support myself, and have fun. Plus I can take a couple of classes, such as the Disney communications course and the Disney creativity and innovation course. I think that those classes will be so much fun, and give me a good introduction into the field of study that I would like to do when I go to college, I want to major in marketing. I think this will be a great oppertunity before I go off to college. I am a senior in high school and I graduate in May. Right now, I am applying for the Disney Career Start program. The Disney Career start program is open to people who have gotten their high school diploma or GED within 48 months of the start of the program. It's an amazing oppertunity and I am super excited to even be thinking about this wonderful program. I have viewed the E-persentation and have filled out the application. Tomarrow morning, I am going to fax and mail it! I'm super excited! I wish that it could already be done so I won't be so nervous. :) Right now, I am using the DIS discussion boards to get over my anxiety and to get to know people who are eaither there to help me or to talk to people that are just as nervous as I am. I know that everything will be fine. I am applying early and I am also applying to a couple of colleges. Everything is happening so fast, but I know that it's going to feel like FOREVER!!! 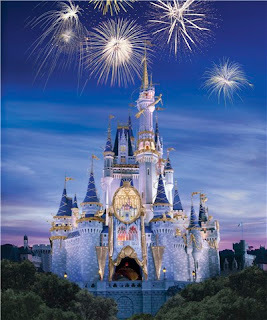 lol After I graduate from college, I want to work at Disney World, doing something in marketing. I think that this program will be a great way to get my foot in the door. So, I'm going to stay positive and stay excited!